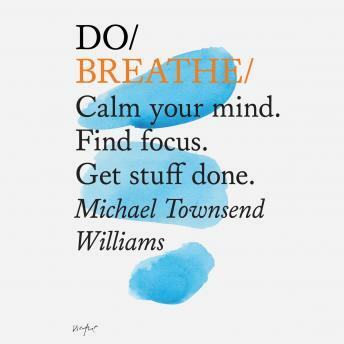 Michael Townsend Williams, an adman turned yoga teacher and mindfulness coach, is an advocate of 'welldoing' - leading a busy and productive life, but not at the expense of our health and wellbeing. And key to this? Our breath. The crucial link between mind and body, our breath reflects what we're dealing with at any given moment. It tells us when we're out of our depth.